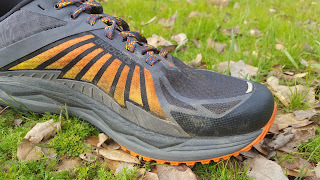 I have reviewed five shoes from Brooks in the past year or so. The Glycerin 13 (which received Runner’s World’s Best Update Award for 2015), the PureFlow 5, the Neuro and the Launch 3 (one of my all-time favorites), and the Ghost 9. They all are great shoes that I use on a rotating basis in my training. I love my Brooks shoes but never had the opportunity to test any trail shoes from them. 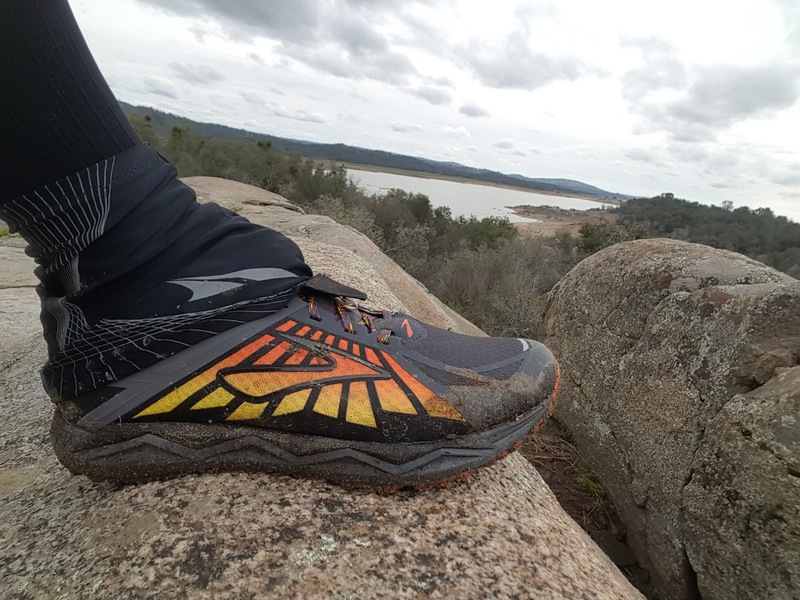 I am training for my first 50k trail race and read about the all new Caldera. I was really excited about what other reviewers were saying so I knew I had to test it out. They just hit the market in December of 2016 so they are fairly new. The Caldera is brand new to the Brooks trail shoe lineup and offers a more flexible and lighter option than the Cascadia 12’s (another trail shoe from Brooks). Brooks used their BioMoGo DNA midsole cushioning that dramatically adapts to each step and stride. It is also more environmentally friendly, decomposing in less time than other midsole materials out there. 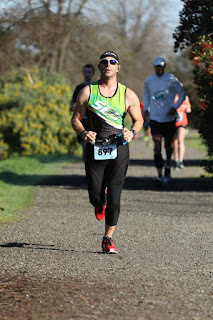 There is plenty of cushion for long trail runs and would be more than suitable for a 50k. I would compare the amount of cushion to the Hoka One One Challenger ATR 3. The midsole provides built in protection and stability over trails. 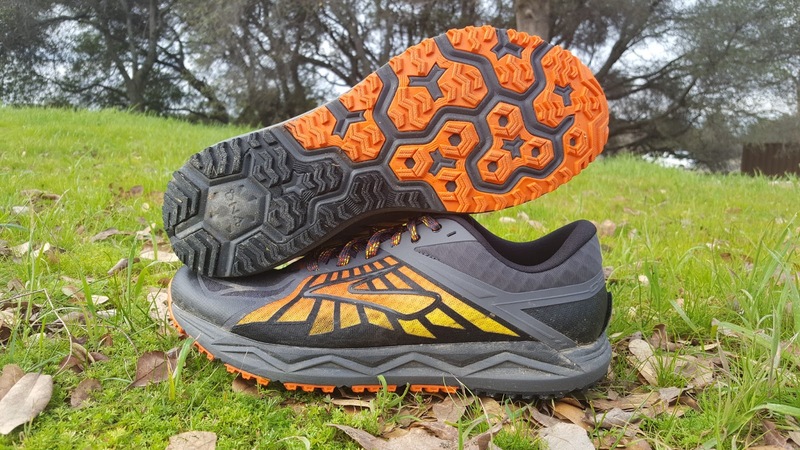 This paired with a rugged outsole offers awesome traction on wet surfaces and tricky terrain from rock outcropping to fields of mud. Brooks utilized a Double-Mesh Upper to provide protection and durability while providing a seamless feel. The upper material stretches for a comfortable fit that moves with your foot. There is also a nice toe cap to protect your toes against rogue rocks. There is an integrated Velcro gaiter tab, which I love. It is similar to the tabs on the back of the Altra Lone Peak line of shoes and I wish more brands would incorporate this feature. I always use gaiters to keep the rocks and dirt out of my shoes and most gaiters have a Velcro tab on the back to attach to the shoes. 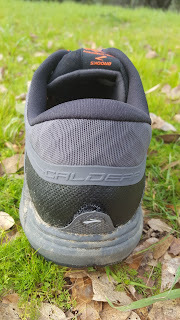 Another great feature of the Caldera is the gusseted tongue, which can help keep debris out if you don’t use gaiters. 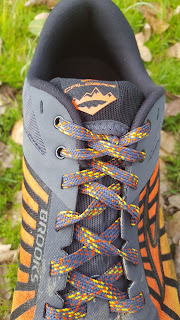 Another really cool feature is a pocket on the top of the tongue to store your laces after they are tied. That way your laces don’t get caught on any branches or flop around. 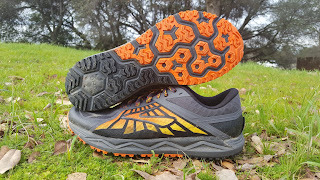 The Caldera costs $140 on the Brooks website and is available in black with an orange background (as shown in my pictures) or in red. Both are sharp looking shoes. You have 90 days to test out the shoes to see if you like them. I don’t think it will take that long to realize how awesome these shoes are. Brooks keeps putting out great shoes. The Caldera is one of the best shoes that I have tested from Brooks and is loaded with awesome features. The price point of $140 on the Brooks website is decent for a trail shoe and should last quite a while. You can also find them at your local retailer (click here for locations). 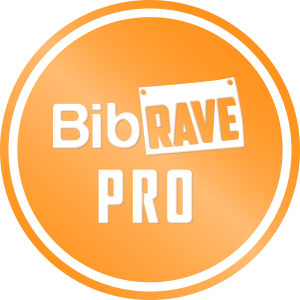 Go to your local running store and give it a test run. Get yours today and let me know what you think.